With the threat of Winter Storm Harper throughout the region, more people are using propane generators to heat their houses. Propane is a naturally safe, clean energy source that has been used in millions of homes. Compared to gasoline, propane is fuel efficient, less expensive and has an unlimited storage life, making it a top choice for generator fuel. As with any fuel source, users should follow the necessary precautions. Below are our tips on how to use propane safely during severe winter weather. Be sure there is an adequate supply of fuel in the tank. The optimal tank level should be around 30% or higher. 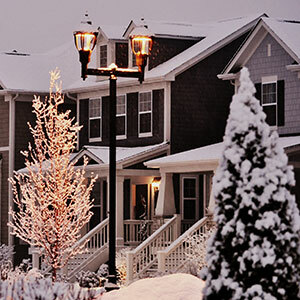 Keep the area around the propane tank and any vents, chimneys, flues free from ice and snow. Be sure the propane generator is well-maintained, stored outdoors away from open windows and doors, and be sure to use high-quality extension cords designed for outside use to connect the propane generator to the house. Never store propane tanks indoors. Notify your propane provider immediately if propane runs out or the connection is disrupted so a qualified technician can check for leaks and turn your gas back on.